2012 is going to be pretty big, probably the biggest year of my life so far in fact…but I’ll come to why, a little bit later. I’ll start with my school-based targets and projects for the year ahead. The main projects that I am working on are all inter-connected and it will be a huge relief when they are finally finished. Although some of them will never be finished because of the nature of them, they will at least be in a better position to share with the masses. 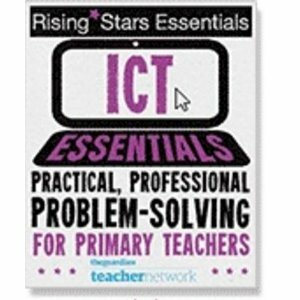 Firstly, ICT planning. I wrote a few months back about my ICT Planning menu and my thoughts and visions for a new ICT curriculum. This has taken shape quite nicely recently but the more that I play with it and tinker with it, the more I think I need to make some changes before it is fully finished. I need to finish the assessment side of things so that the levels and objectives are clearly laid out and I need to make sure that there are lots of how-to videos on there too. These will also be added to www.undertenminutes.com which has been neglected of late. I have started writing some lesson plans for the site that give a ‘first look’ at a particular tool so that a teacher can take the lesson plan for say Popplet or Google Sketchup and try out a basic activity, they can then plan further lessons once they feel comfortable with the software. Next? ICT Assessment. Alongside an exciting (or dull) ICT curriculum needs to be assessment. How do you assess it? How do you know if the children are making progress? I’ve started creating badges for different ICT areas. The idea is that a child can complete a task or project and they will then apply for a badge. This could be Bronze (level 2) or whatever they think theyt have achieved. The difficulty is finding levels and tasks to assess some of the areas. What does Level 4 in video editing look like? Or a Level 5 blogger? Do we need to assess like this? With the current national curriculum, we probably don’t, but what about for the pupils or teachers? Wouldn’t it be useful for them if they could see progression in research skills or digital literacy? I’m going to aim for the badges and assessment tasks to be written by February half-term and for us to be trialling them after that. It might work, it might not. But it has to be better than us not assessing ICT and then writing generic statements when the reports are written. Another area that I have started concentrating on is home learning. With all of these amazing things going on, how do parents keep up? My plan is to create a site (well the site is created, the plan is to populate it) with content on different areas that parents are encouraged to use at home. The areas that I will focus on tend to be the traditional ones that parents ask about such as times tables, spelling and phonics but with some additional areas such as typing practise and learning french. The site will combine free tools that are out there as well as paid-for content that we have in school. The parents will then know where to find useful resources rather than being forced to ‘Google’ them or pay for content themselves. This will be ready by half-term too. If 2011 was the year of blogging, then surely 2012 will be the year that the Digital Leaders will come to prominence. This year I have massive plans for my digital leaders. This starts next week with a range of different presentations at the BETT show but it will continue throughout the year when I will include them in most things that I do. They will be testing the ICT Assessment badges before the other children, they will be helping me to create resources for the planning site and they will attend conferences and meetings with me too. I want to organise a Kidsmeet later in the year and they will be at the forefront of organising this, contacting people and planning the content. They are eager to share their knowledge and it is my job, and my duty, to give them platforms to do this. I have already created a site, www.digital-leaders.co.uk, which can be used from digital leaders from my school and others as we start to build up a network of the amazing work these young children are doing. The last thing that I want to push in 2012 is sharing. Yes this gets done through Twitter and in small pockets,but I want to really push this across the county and beyond. The Hampshire BLT site launched in the AUtumn term and I will be involved in hosting and running events for them to ensure that teachers get the chance to try new things. This will start with sessions on blogging or game design but I want to extend this to cover anything that the teachers want to discuss really. We will have to see how well this goes, but there is a definite need for schools to share more ideas and this could be a platform for them to achieve it. Is that enough to be getting on with? The main target that I have as an ICT Coordinator, and it encompasses the first few on this list, is to make myself surplus to requirements. There are many times I’ve visited schools and seen that there is an amazing teacher in one subject or another and you wonder what would happen if they left. Now’ I;m not planing on leaving, but I want to get ICT to a point where I could leave and it wouldn’t matter. I want to ensure that the planning and assessment of ICT is embedded so well that I can just be there to help it tick over rather than to consistently create or innovate new things. The target that I was set was to get this in place by July 2012 and I think that we might achieve it in some areas, then I can use the next academic year to keep it moving slowly along. It’s a big ask, but something that needs to be done. So why is 2012 so big personally? Firstly, I’m going to be running my first half-marathons in the next 6-10 weeks…but in-between those, at the end of February I turn 30. This is always a bit scary. There are mixed feelings for big birthdays, when you turn 18 or 21 these are seen as exciting birthdays but 30? That feels different. It feels like I need to be a grown-up. There’s also the other big event of the year too. No not the Olympics, but the wedding. I get married in August and it’s starting to feel real now. I’m really looking forward to it and I think it will be an amazing day, I can’t wait to spend it with friends that I don’t see nearly often as I would like to. There are lots of things planned for the run-up to the big day and I am really looking forward to every aspect of it. Now I just need to shift some weight so that I look better in the honeymoon photos!! So what are your big moments of 2012? What have you got planned?